Superdry women’s stripe grandad top. 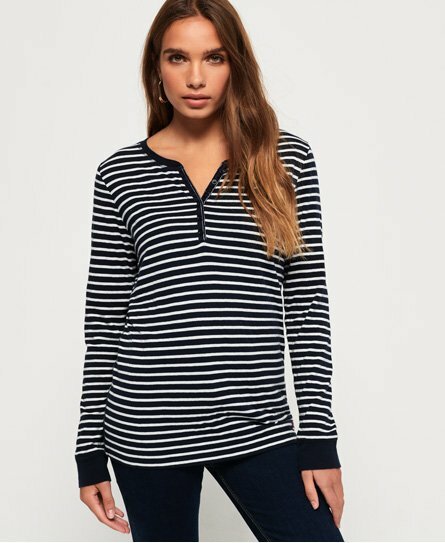 This long sleeve top is a great layering piece this season and features a mid-way button fastening. Finished with a Superdry logo badge above the hem, the stripe grandad top pairs perfectly with jeans and a hoodie this season.